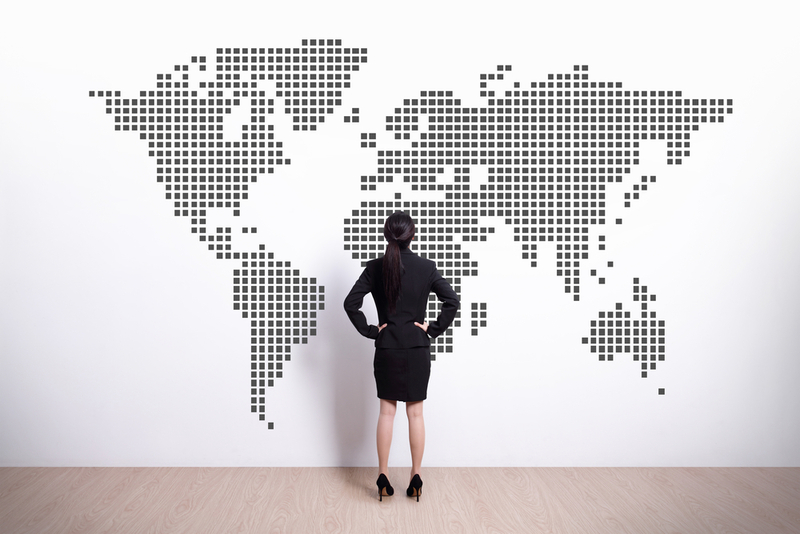 An international assignment can be an exciting time in your career — and a little scary as well. How do you fit in a foreign culture, understand the customs, and optimize your performance and success as an expatriate professional? It is a daunting question but can be life altering on both a personal and professional level. My first international assignment was the greatest turning point in my career. The two key factors were adaptability and networking. I managed to leverage both throughout my assignment. The biggest challenge for me was starting over. When you accept an international assignment, you must be willing to completely start over, not only on your work side, but on your personal side as well. You are away from family, friends, and everything that is familiar to you. You may know the actual work or some of the colleagues you will work with, but overall, your daily interaction will be with a lot of different people and you will have to be open to creating new connections and new ways to show your value. You will have to learn new cultures and customs too. The most rewarding part of it, though, is that it takes you out of your comfort zone and helps you grow in a much faster way. You will not be the same person you were before the experience; you will have a more open mind and a broader understanding of the world you live in. An article published in the Academy of Management Review explored the stages that a person goes through when assimilating into a new culture. The Dimensions of Expatriate Acculturation: A Review analyzed several empirical studies on how managers adjusted to being transferred overseas. Through this material, they identified four stages or dimensions that were most closely related to successful acculturation in a foreign country. This is the first stage of assimilating into a culture and is directed toward strengthening the person’s confidence and self-esteem. They build themselves up so they can function in the new, foreign culture. It begins with reinforcement substitution which is replacing certain activities that they enjoy in their home culture with similar (but different) activities in the foreign culture. The next step is stress reduction. Adjusting to a new culture is stressful and studies show that individuals who can effectively manage their stress adjust much faster and easier. The third step is technical competence. The confidence the person has in their aptitude to perform effectively in their job is vital in expatriate adjustment. This includes confidence in technical skills necessary to do the job. Adjustment also relies on the individual’s ability to effectively interact with the people of the new country or culture. It is important that they are able to develop relationships with the host nationals and establish long-lasting friendships. These friendships are important because they help the expatriate adjust on a personal level. Much like a mentor in the workplace will help a worker advance professionally and fit into the company culture, befriending a host national will help that person on a personal level as they learn the customs and fit into the culture of the region. This, in turn, also affects the professional assimilation. A willingness to communicate is also vital. This may include speaking in the host national’s language, but not always. It does involve listening and asking questions in an effort to learn the culture. Anytime you move into a cultural environment that is not familiar to you, it is important to try to understand why the people do the things they do. This ability to understand the behaviors provides the expatriate with invaluable insight into the roots of the culture. It allows them to predict how the host national will react to certain things or even how the expatriate will be received or treated. One of the biggest barriers to conflict on the job is the inability for one side to understand behaviors or why people do what they do. This is exacerbated when in a foreign culture setting, especially if the person has no background or training in that culture. By learning the why behind the behavior, interpersonal relations can be improved and well maintained. Some countries are just more difficult to adjust to than others. Of course, this depends on the person, but there are certainly some cultures that are just harder to understand and assimilate into. Studies have found that some of the more difficult overseas assignments from a culture standpoint include Japan, the Middle East, Asia, and Africa. There were more cultural barriers reported in these areas which increased stress levels while decreasing job satisfaction. Men and women had similar experiences in adjusting to a new culture, with one exception. In Living Abroad: Personal Adjustment and Personnel Policy in the Overseas Setting, it was noted that women expatriates experienced feelings of isolation. Men in the study did not report any significant feeling of isolation. Women going into this situation need to take steps to avoid these feelings of isolation to reduce stress and improve job satisfaction. Looking for support to develop your career or business? Join the International Association of Women and connect with a global network of professional women who will help you to dream, rise and lead.